A group of leading international architects is appealing to Israel’s government to halt its controversial plan to build a cable car to Yerushalayim’s Old City. 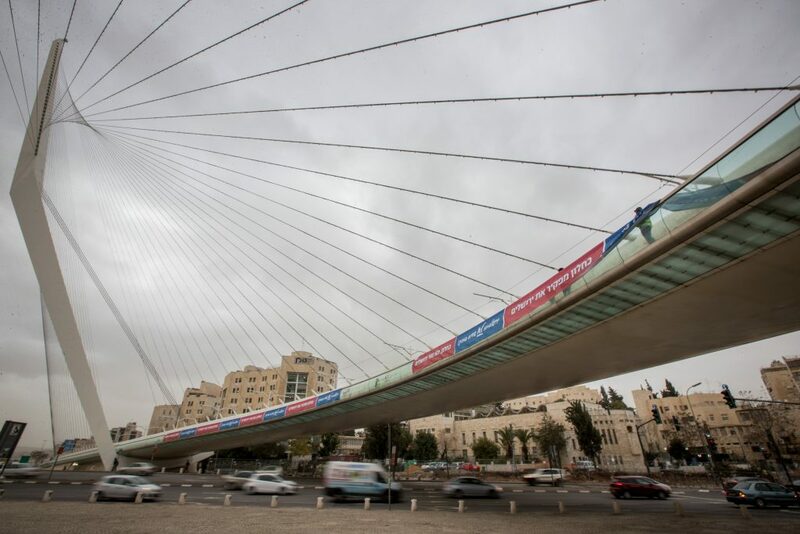 Some 30 architects, including Spanish Santiago Calatrava, famed for designing the capital’s Chords Bridge, celebrated American architect Thom Mayne; and Israeli-born Moshe Safdie added their voices to public outcry against the project Sunday in a letter to Prime Minister Binyamin Netanyahu. It called the cable car a threat to Yerushalayim’s “ancient landscape and precious heritage,” and accused powerful interest groups of prioritizing tourism and political agendas over religious and cultural values. Approved last fall by Israel’s Tourism Ministry as a way to ferry visitors to the Old City over traffic-clogged streets, the project has prompted a flood of complaints from Palestinian residents and urban planners.